At first, you need enter pass code. Otherwise you can use only C, H, N, O atoms. At first, build ethylene molecule and and go to CNDO/2 Panel. If you get above picture, the calculation is succeed. on the left side you will see the molecular orbital level (like bar code). Red bar show now level. And Energy level is -13.77 and this level is HOMO. 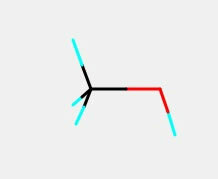 please rotate molecule. This sphere means Pz orbital. 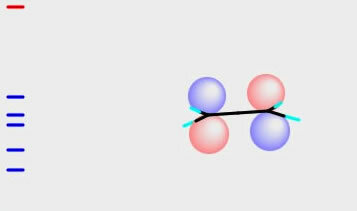 And this orbital make double bond. 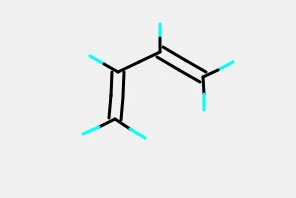 It is something like ChemDraw drawing. 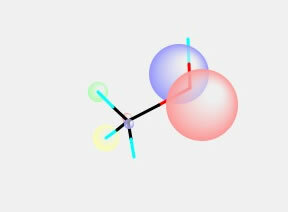 P orbital have 3 directions. With this simulator, just show as vectors addition. let's see the LUMO. Please push Upper button. You will see the LUMO orbital and know LUMO level is 3.31. The color of orbital become reverse. You can see the all the levels. In lower level, the sphere distribute to many atoms and size become small. You can change sphere size with large or Small button. You get almost same result with Ethylene. But if you see the lower level of Molecular Orbital, Energy Level is same with HOMO and direction of orbital is perpendicular to Z axis. So you will find this HOMO and Next HOMO make tiple bond. If you are authorize user, you can use Chlorine atom. 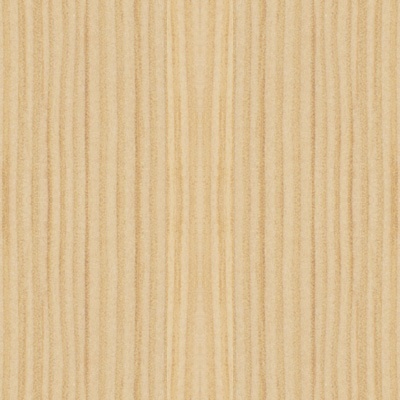 Please make vinylidene chloride. 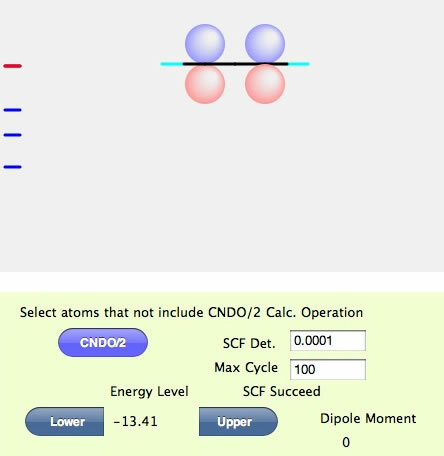 if you calculate CNDO/2, you get this HOMO orbital. If you get SCF Fail, Please enter larger SCF Det. value. Chemical engineering student may not accustom to molecular structure. 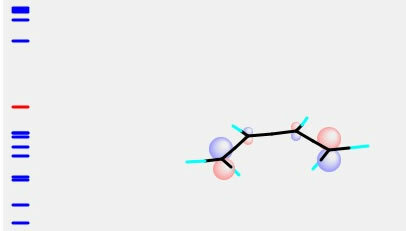 They can not understand why methanol oxygen have SP3 structure even though it have only 2 hand. 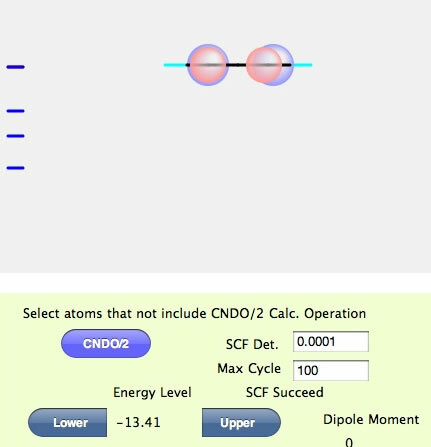 If you calculate CNDO/2, you will see very large P orbital at oxygen. Next HOMO also have large P orbital. You will get HOMO like this. 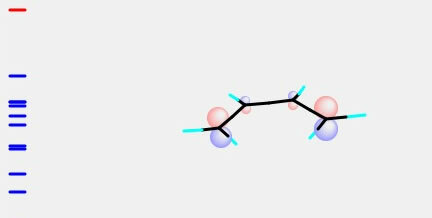 You can easily find out Butadiene HOMO and Ethylene LUMO can overlap. This is very famous Frontir orbital theory. 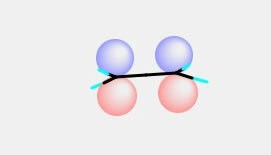 Butadine and Ethylene make 6 member ring product. At the first time of my lecture, I will give you pass code that enable run full version of program. 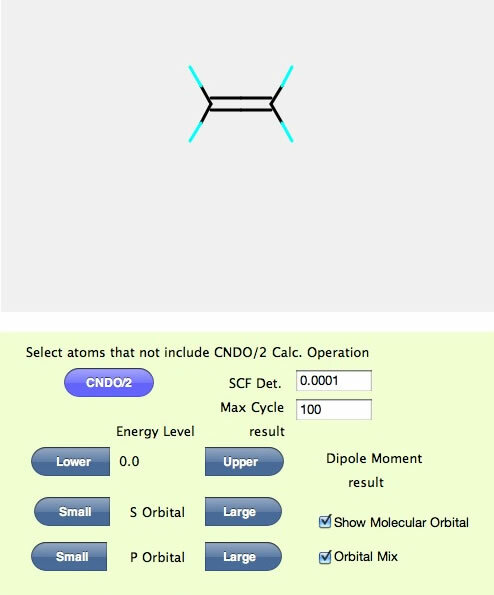 YNU-Simulator:O is molecular Orbital related simulator. 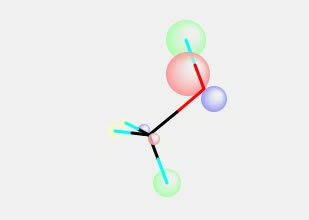 You need handle chemical structure with 3D. 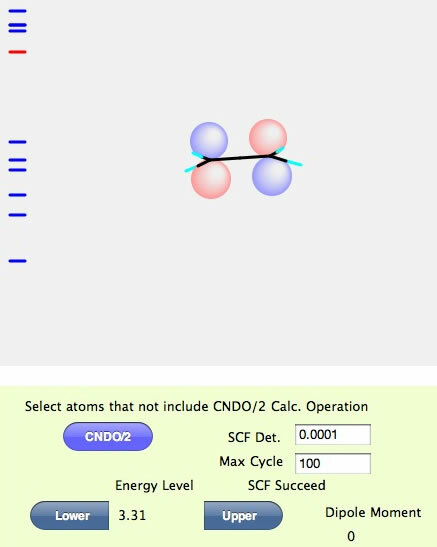 YNU-Simulator:C is atomic Charge calculation from 2D structure. YNU-Simulator:P is Properties estimation for chemical engineering problems. 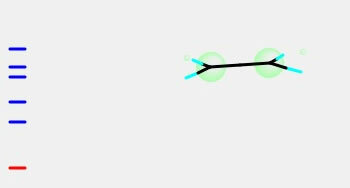 YNU-Simulator:M is Molecular dynamics calculation.